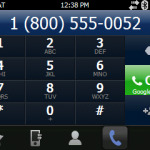 iDialer allows you to seamlessly place calls using your virtual number from Google Voice or JaJah! iDialer is also skinnable (for those who don’t like the iPhone look) and works with both VGA and QVGA skins, and in both portrait and landscape mode! 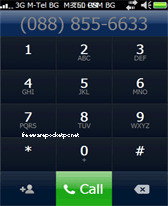 It can also be used to simply replace your built-in dialpad, or as a nice interface for your calling cards! The latest version, v0.54, fixes soft-button support for non-touchscreen phones and is the first official open-source version of iDialer.